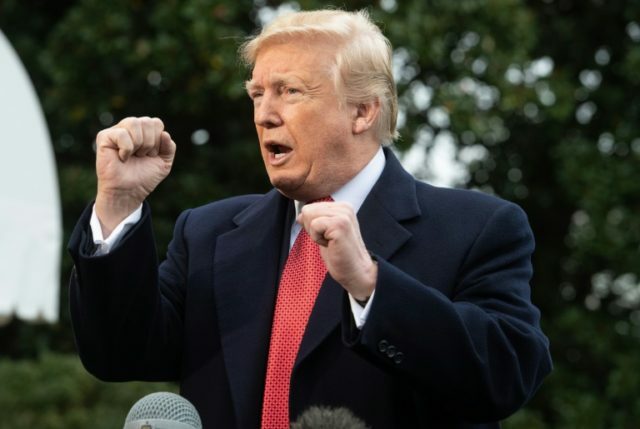 President Donald Trump Federal Reserve on Tuesday described the Federal Reserve as a “problem” and said its interest rate target was too high. Stocks have fallen sharply this week and data has suggested a slowdown in the housing market. The slump has been particularly sharp for single family homes, arguably the most interest rate sensitive part of the market. The Fed raised rates three times this year and is expected to hike again in December. The Fed’s projections from September show the central bankers expect to raise rates three more times next year, although market prices for futures linked to the federal funds rate now predict just one hike next year. Investors in stocks and bonds are worried that the Fed could make a “policy mistake,” raising rates too high and too rapidly. That could push down U.S. growth or trigger a recession. Goldman Sachs on Tuesday predicted U.S. economic growth would slow to a crawl in 2019.